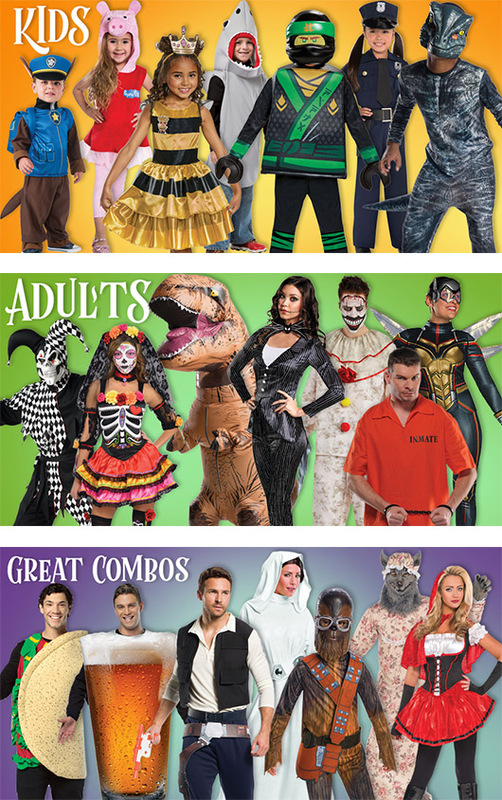 A huge assortment of the newest and greatest Halloween costumes await you at Party America. Superhero costumes, Disney princess costumes, ninjas, zombies, and just about anything you can imagine. Costumes for toddlers and babies, boys and girls costumes, couple costumes, mens and womens costumes.